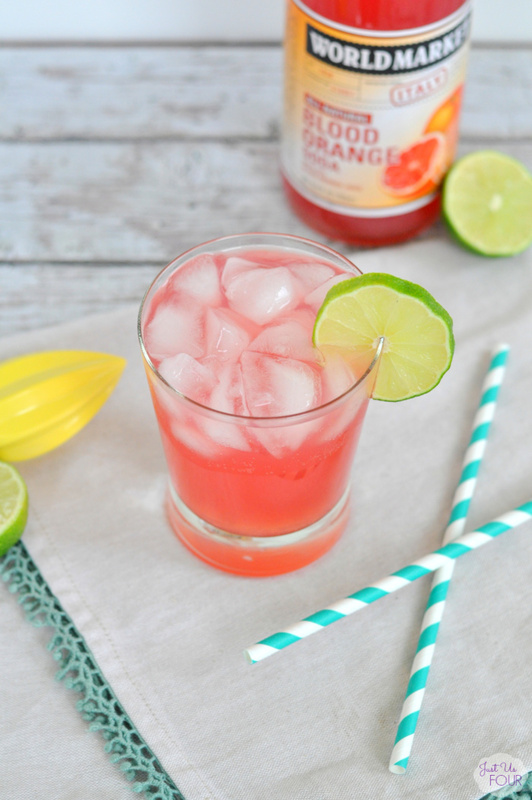 A paloma is a tequila based drink that is usually mixed with a combination of grapefruit juice and club soda or a grapefruit flavored soda like Fresca. You serve it over ice with a lime wedge. 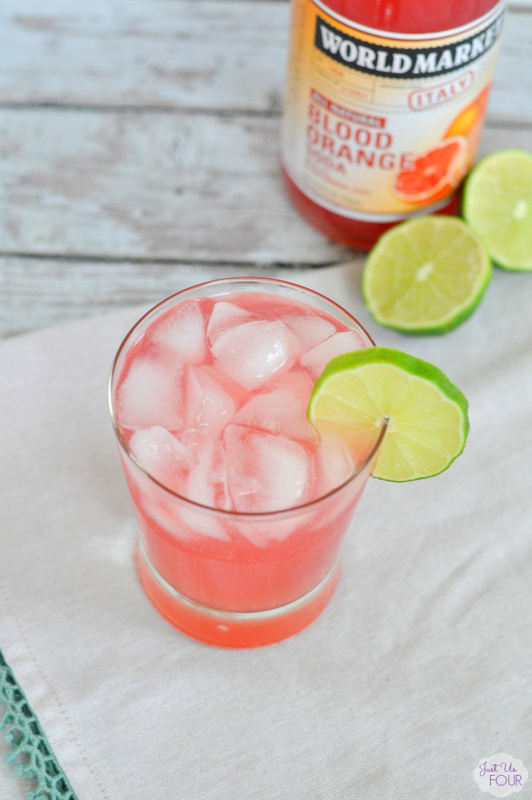 I am in love with blood orange soda so I delicided to substitute it for the grapefruit and this amazingly refreshing cocktail was born. 1) Combine lime juice, agave syrup and tequila in a glass. Stir well until combined. Add ice and top with blood orange soda. Serve with lime wedge. You could definitely salt or sugar the rim of the glass if you want. I prefer mine with just a lime wedge. One thing is for certain: this is going to replace a margarita as your new favorite Mexican cocktail! What is your favorite summer cocktail? 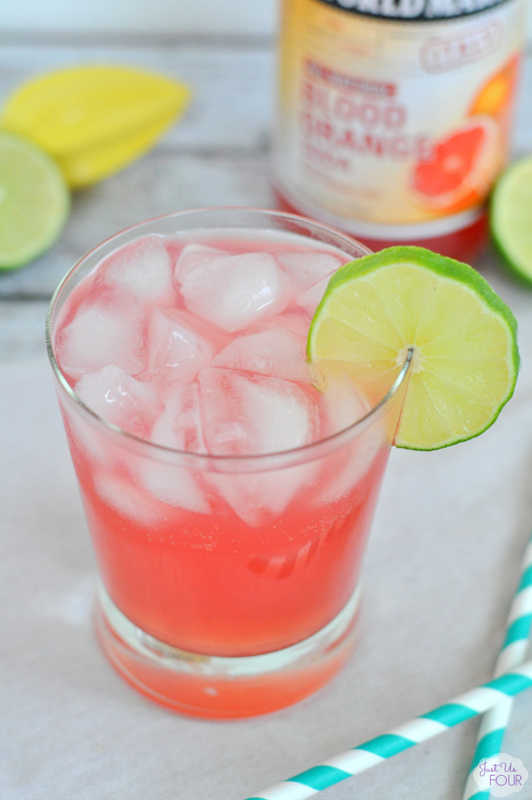 Do you like to change up the flavors in drinks to add in your favorite ingredient? Combine lime juice, agave syrup and tequila in a glass. Stir well until combined. Add ice and top with blood orange soda. Serve with lime wedge. YUMMMM!!!!! I am pinning this right now! So refreshing! Definitely a good summer beverage! YUM! I love blood orange!! Diana Rambles recently posted…Happy Memorial Day? Yum! This looks soooo refreshing. I’ll be heading out to World Market ASAP so I can make these. BTW, your photographay is great. I love your style. Finally, I’m looking to update my overall blog design. Did you do your own or did you work with someone? I love the clean, fun look of your blog design (even the fonts). If you could email or reply, I would really appreciate it! Thanks. I used a designer through Designer Blogs to create my site. I would highly recommend them. This is what I’m talking about- fantastic sounding and refreshing, I’m sure! Too bad it’s 8:47 am…otherwise, I might make one of these right now!! I love that you shared this with us at Snickerdoodle Sunday- see you again this weekend I hope? Even the color of these is beautiful! I love the contrast with the lime. YUM! 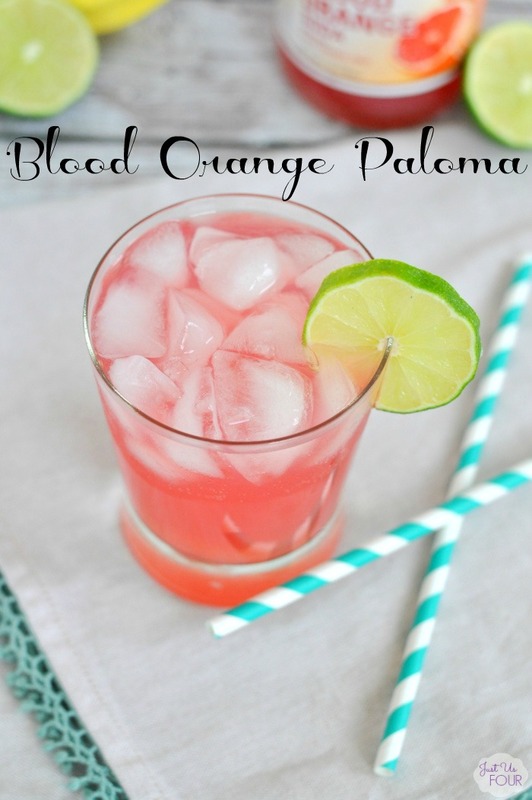 I have never heard of a paloma before but now I can’t wait to try it. Thanks so much for linking up this week at #HomeMattersParty. Can’t wait to see what you link up next week.